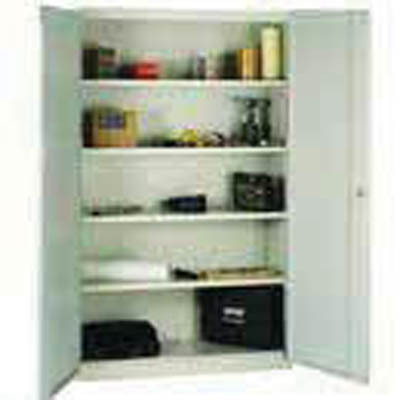 Durable, heavy duty storage cupboards with extra strong welded door frames for greater security. Concealed hinges for a clean line appearance and a wipe-clean finish with a tough protective coating. Fitted lock supplied with two keys.